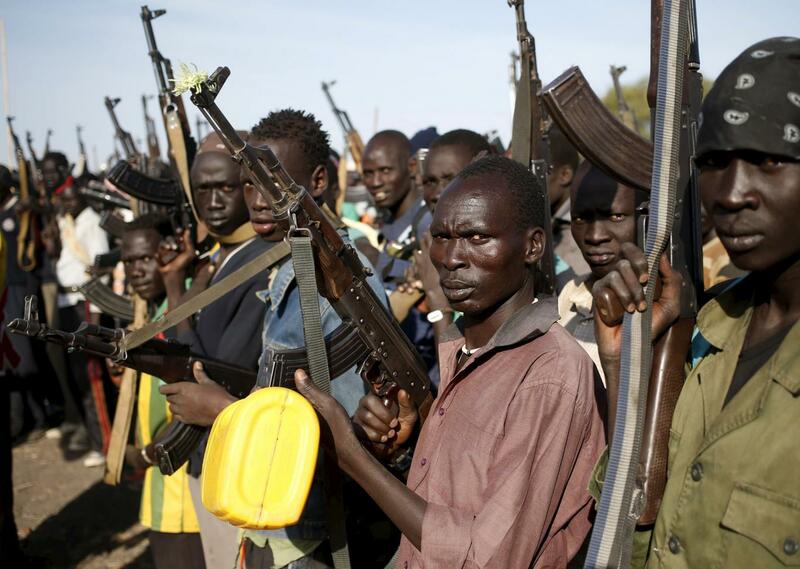 As mediators and parties to the South Sudan conflict gather for a second round of peace talks, news that the European Union has issued sanctions against three South Sudanese officials bear the greatest responsibility for the escalating conflict. It comes on the heels of a ban of weapon exports to Africa’s youngest nation by the US government, pointing to the mounting impatience by the international community to have the talks concluded and sanity restored. Stemming from a power struggle between President Salva Kiir and former vice president Riek Machar, the four year conflict has caused humanitarian, economic and political crisis of monumental proportions, with tens of thousands of citizens having lost their lives, more than one and a half million people suffering from starvation, and four million people – a third of the country’s population – having fled their homes in one of the most devastating refugee crises in Africa since the 1994 Rwanda genocide. The parties to the conflict maintain their hardline stance and continue to obstruct the peace process while advancing offensive military action. Numerous independent reports indicate that the South Sudan government has invested millions of dollars in buying weapons to gain military advantage, despite the country facing unprecedented drought and an deep economic crisis. While peace has always remained elusive in the East African nation, the ongoing talks cannot yield anything other than lasting commitment to respect of human rights, lives and the law. Pressure in the negotiating table and outside it must be piled to make the parties of the conflict understand that it can no longer be business as usual. More targeted financial pressures such as asset freezes should now be instituted. The African Union and the United Nations Security Council have been tiptoeing around this humanitarian crisis for too long must now rise to the occasion and impose a global arms embargo. It is the only way the warring factions can feel the full force of the international community. It is the only language they will understand.